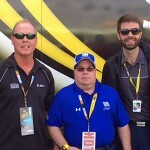 Responsible fans earned valuable rewards at Sunday’s AAA 400 at Dover International Speedway. The track, Budweiser and Techniques for Effective Alcohol Management (TEAM) Coalition partnered to promote responsible drinking and traffic safety at Dover International Speedway. 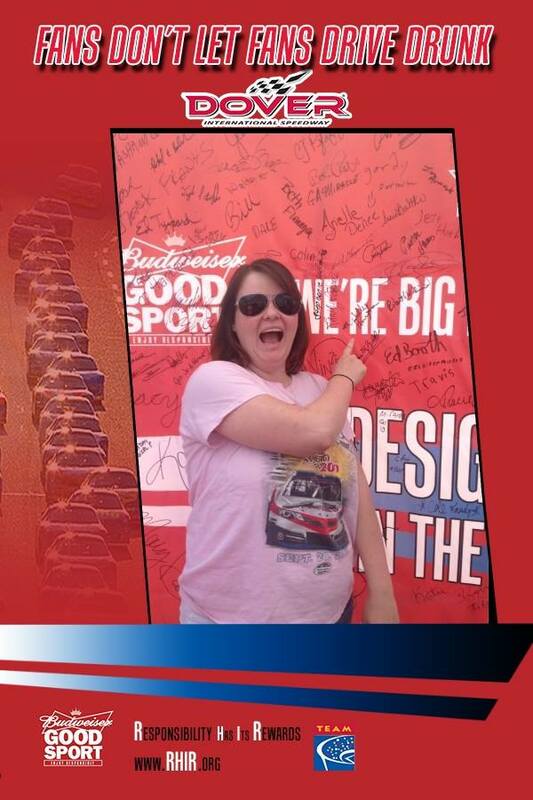 224 fans made the pledge to be a Good Sport – the designated driver for their group. All of them had the opportunity to receive a free souvenir photo, instant prizes, a bottle of Aquafina water, and a chance to be selected as the Designated Driver for the race. One randomly selected, responsible fan will win the Responsibility Has Its Rewards sweepstakes. 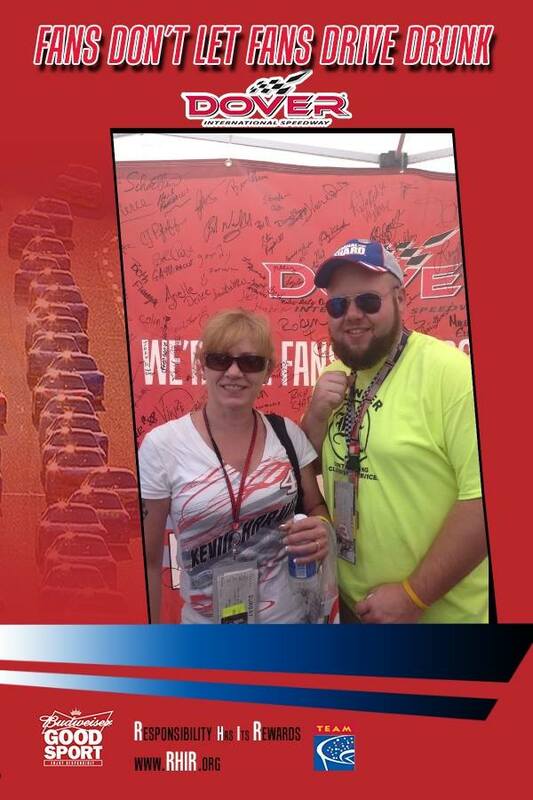 The grand prize includes two tickets and a VIP experience for two at the next NASCAR Sprint Cup Series™ race at Dover International Speedway. 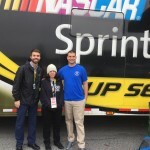 The Designated Driver for the Race from the June 2014 Sprint Cup Series race at Dover International Speedway, Bonnie Nicholson, received two tickets and two VIP Experiences to the September 28 AAA 400 race. 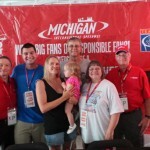 Nicholson and her guest enjoyed a behind-the-scenes experience before the race on Sunday. Dover Motorsports, Inc. (NYSE: DVD) is a leading promoter of NASCAR sanctioned motorsports events whose subsidiaries own and operate Dover International Speedway in Dover, Del. and Nashville Superspeedway near Nashville, Tenn. The company also hosts the annual Firefly Music Festival on its property each summer. 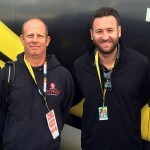 Produced by Chicago-based Red Frog Events, the four day event features more than 100 bands on seven stages in The Woodlands at Dover International Speedway. For further information, log on to www.DoverMotorsports.com.